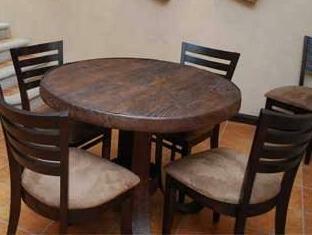 ﻿ Best Price on All Suite El Marques de Antigua in Antigua Guatemala + Reviews! Located 656 feet from Antigua Guatemala’s Central Park with a variety of restaurants and museum, All Suite El Marques de Antigua features free Wi-Fi and free private parking to guests. The two-floor rooms offer flat-screen TVs with cable channels and dining and living areas with fireplaces. The bathrooms come with shower and free toiletries. 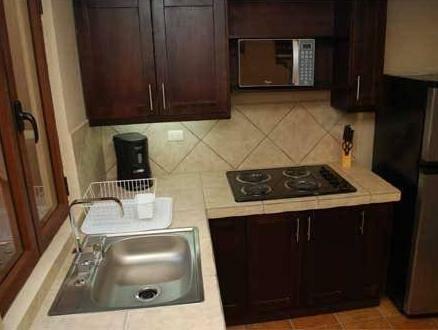 All rooms feature a fully equipped kitchen. Within a 3 minutes’ walk guests can find a variety of restaurants and shops. Antigua’s Cathedral is 2461 feet from All Suite El Marques de Antigua. Local markets and handicraft markets can be reached within a 15 minutes’ walk. The Ecological Park of Florencia is a 20 minutes’ drive from All Suite El Marques de Antigua. Aurora International Airport in Guatemala City is 45 minutes by car.